Our new docents are ready to guide our group tours. Alpha is a local branch of a national organization that provides services to participants with developmental issues (occurring before the age of 18). They will be sending four participants, along with one staff member, here each week, to clean the 4th floor Visitors Center and the front patios. 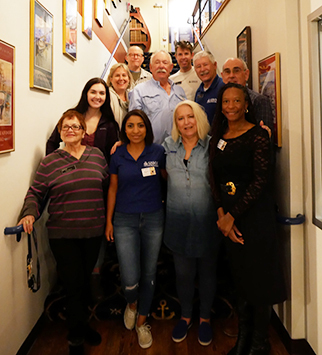 Association of Professional Fundraisers Chapter Honors Local Leaders in Philanthropy -Noozhawk- Philanthropists of the Year, Santa Barbara County — Judy and Jack … School, the Wilderness Youth Project and the Santa Barbara Maritime Museum. 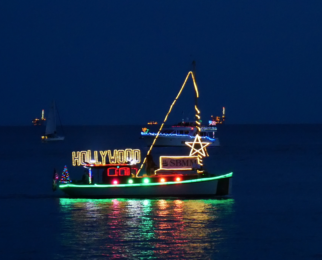 SBMM receives $10,000 grant from Union Bank to support the Spirit of Dana Point Tall Ship Overnight Program, putting local fourth-graders aboard the ship for one night. 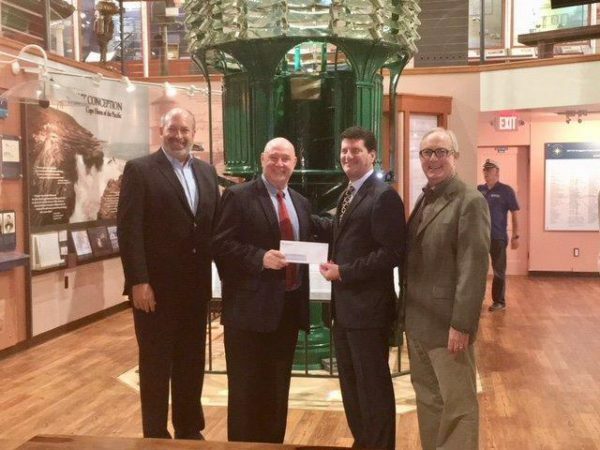 Pictured here are (L-R) SBMM Navigators Circle Chair Chuck Wilson, SBMM ED Greg Gorga, Vince Caballero with Union Bank, and SBMM Board President Wilson Quarre. 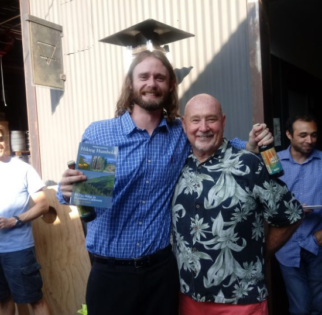 SBMM says Bon Voyage to Membership Coordinator Ian Kirkpatrick as he heads to Humboldt State University to pursue a degree in Mechanical Engineering.